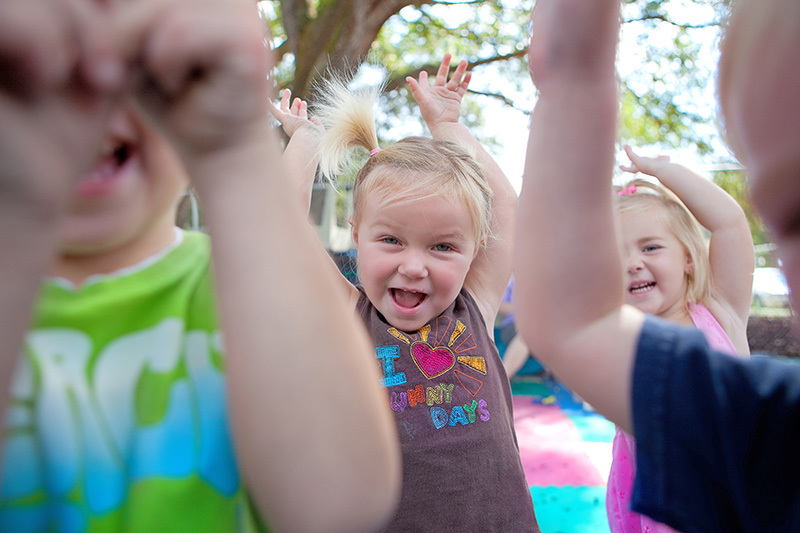 Summer camp at Crowned Hart Preschools is about fun, but it's also about learning. In fact, your school-age child will be having so much fun with our indoor and outdoor activities, they won't even realize we've incorporated academics right into our program. They'll explore plenty of interesting topics with hands-on experiments and projects and activities that will make them wanting to come back for more all summer long. All the while, we'll be helping your child discover science, nature, creative arts, literacy, and so much more. They'll also develop and nurture friendships and enjoy planned indoor and outdoor themed adventures every day. Our large, shaded playgrounds are perfect for summer fun like our very own water slides and planned outdoor activities. Kids will also enjoy Movie Day, Ice Cream Parties, Reading marathons and field trips. Don't let your child miss out - sign up and enjoy the fun!